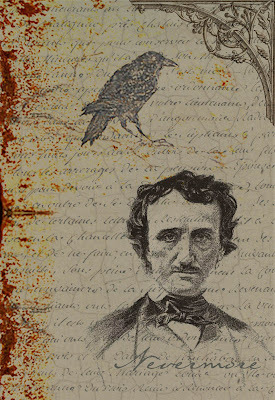 Well, my work in progress, currently titled Nevermore, is finished. Or as finished as it can be right now. I won a critique through Brenda Novak’s auction from an agent at the top of my list (Scott Eagan at Greyhaus Literary) — the auction items I win each year are my “birthday gift” to me. I’ll be putting the proposal package together tomorrow and shipping it off to Scott (with fingers crossed) for comments. He did a fantastic job of critiquing one of my unfinished manuscripts in 2008. I never managed to write the entire book because I was derailed by Drama Teen’s brain surgery. Somehow the plot and the anxiety I felt over her medical condition somehow got entwined. So, every time I opened the file, I felt ill, anxious, and overwhelmed. Finally, out of desperation, I shelved the project. I didn’t discard it mind you…the files, the research, it’s all still on my hard drive, it just hasn’t been opened in a long while. As Nevermore drew to a close a few weeks ago and I began the polishing process, which is all grunt work at times — meaning that while I am working, I am focused on the story, but I don’t have to carry it with me the rest of the day. The characters have been put to bed, the plot is as solid as I can get it, and my critique partners are ripping the prose to shreds. So, in my spare brain time, I started pitching story ideas for what I wanted to write next. I have a couple floating around in my noggin; however, none of them full-fledged enough to be anything but ideas at this point. Which is when this story started jockeying into position. I love the characters and spent a lot of time on the mythology and research. Just this morning, while I readied the boys for swim lessons and summer day camp, I printed up Scott’s old critique, read through it, and realized that I short-changed myself by not finishing the manuscript. The book has a fantastic premise and there are parts that are really, really cool…My sirens are “to die for” — at least if you are a man (LOL). I’m ditching the story I had written. I’ve learned so much by writing the past few books that I’ve realized there’s some major problems in most of the prose. So, I’m spending the next couple of days working on a snowflake (see Randy Ingermanson for his plotting method) for the book. I can salvage some of the existing manuscript…a couple of scenes at the most. It’s not as much as I would like, but I think the final outcome will be much better, scarier, darker, and more romantic. Since I’m finally ready to send my “baby” out into the cold, heartless world of publishing, here’s my blurb for Nevermore. Enjoy! Patrick Shea may be driving a hack now, but he is also chasing the story of a lifetime in hopes of garnering a journalist position on the staff of The Baltimore Sun. At the home of René Molyneaux, he doesn’t just catch sight of his quarry, a Haitian Voodoo Practitioner called King Louis, but also someone totally unexpected – his wife, Barbara, who disappeared two years ago. She’s working as Molyneaux’s parlor maid. The problem? He finally works up the courage to confront her for the sake of their two-year-old daughter, Emily, when Barbara disappears yet again. While looking for clues to her whereabouts, Patrick finds himself falling in love with her replacement, Mary Reynolds. Mary Reynolds walks like a lady, talks like a book, and is as pretty and polished as any lady in 1849 Baltimore Society. And so she should, up until ten years ago she was the beloved daughter of a Baltimore mover and shaker. Then, upon her mother’s death, Mary was discovered to be illegitimate and her life crashed down around her. She lost everything: her mother, her home, and her status. Due to the kindness of her mother’s friends, she went into service; however, she’s never given up on her dream of regaining her place in society. When she least expects it, Fate steps in and reveals a clue to her true identity and her birth name, Lenore. With the help of Patrick and his landlady, Mrs. Pym, Lenore begins to rebuild her life. While searching for answers about her past, she encounters magic, zombies, and Edgar Allan Poe. Shocking as all that is, her biggest discovery is the one she makes about herself. This entry was posted on Monday, June 7th, 2010 at 2:58 pm in Uncategorized. You can feed this entry. You can leave a response, or trackback from your own site.